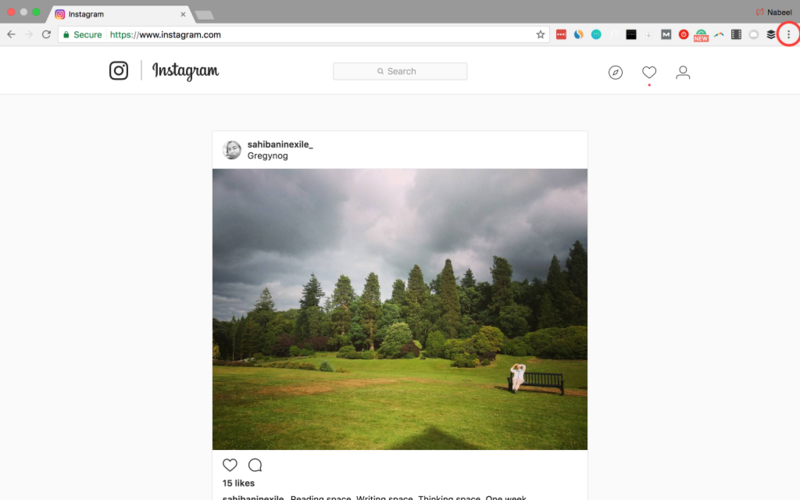 At the time of publication, this handy Instagram hack is being used by social media teams, photojournalists and photographers to save time. It allows users to skip transferring files from their computers to their mobile devices in order to post to Instagram, but it doesn’t allow filters or locations, sadly. Chances are if you are getting your artwork from a graphic designer in your team, or if you’re a photographer, you are already part of the #nofilter crew, in which case this hack suits you perfectly. As for adding a location, most brands already don’t tag them, but if you must add one, you can still Edit the post (once it’s published) on your phone and add in a location. At least you don’t have to transfer heavy files to your phone each time. 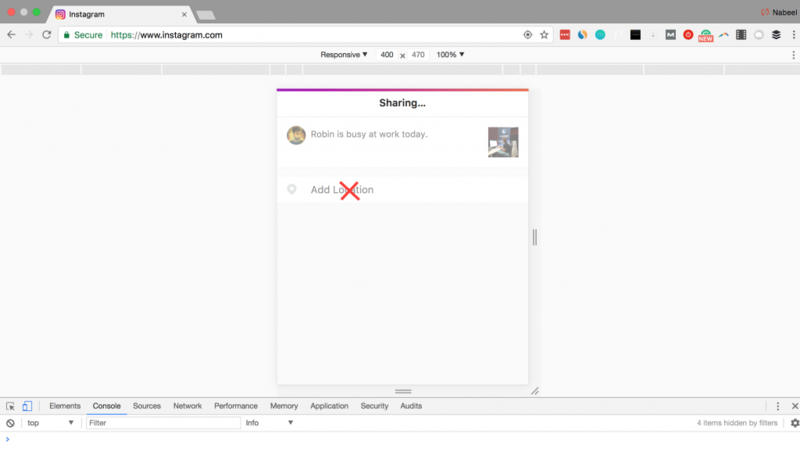 Open instagram.com on any tab in Google Chrome, and sign in. 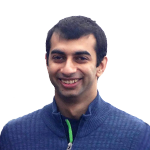 Click the three-dot button (circled above), expand More Tools, and select Developer Tools. ‘Change’ your device using the circled button on the left. Hit the camera icon just as you would on your mobile, and browse your hard drive for the picture you want to upload. The interface will skip the filter selection and jump straight to the crop screen as shown. 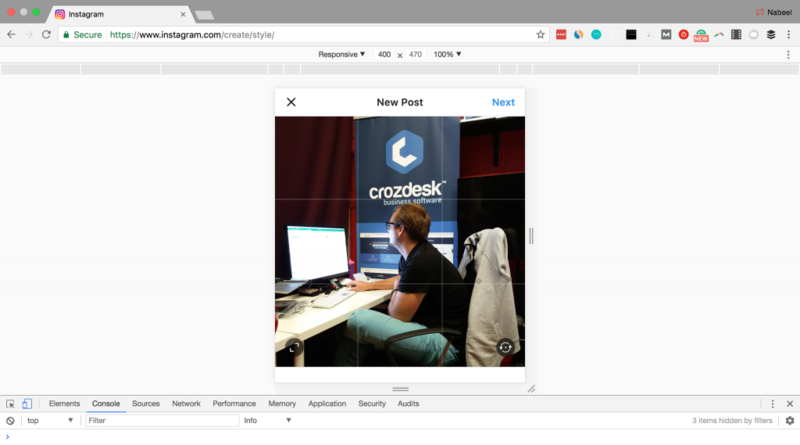 This tool will allow you to crop the image as seen in the square. Add your caption (skip adding location), post and share! 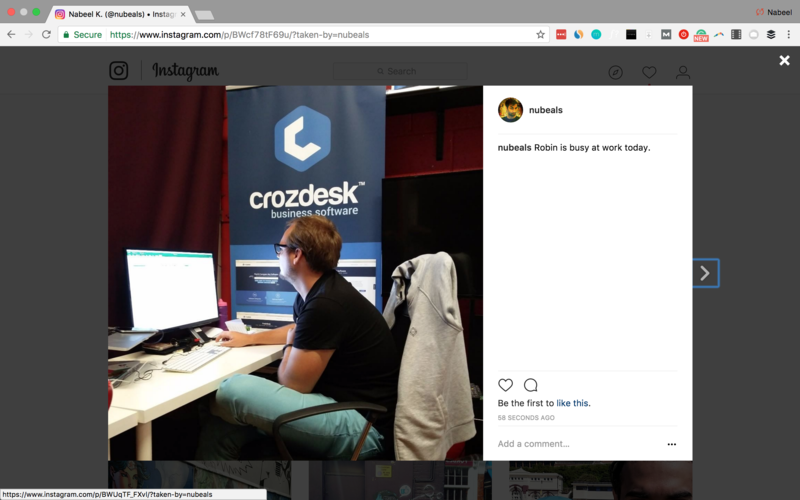 I know it seems like you can add your location through this interface, but even if you allow your browser to give your location to Instagram, this hack makes Instagram think you’re using a phone. In this instance, you need to set appropriate permissions, which is impossible at the moment. If you know a way to make this work I’d love to hear it in the comments below. I hope Instagram doesn’t delete this unintended ‘feature’ anytime soon. The pictures do look good on a bigger screen and we can all save a little time to be a little more productive. PS. 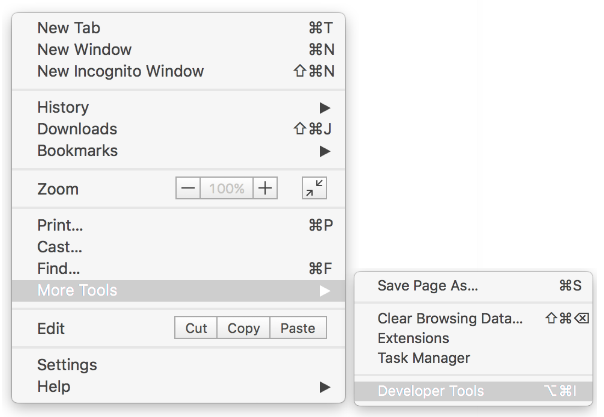 Don’t forget to undo what you did in Step 3 and switch the device back to your computer before closing that panel, or it will revert to mobile mode next time you open Developer Tools.